Do you have a dark dining room? Is your bedroom cramped? Regardless of your current dwelling dilemma, an addition can offer a creative solution for your home. If you have a small budget but want to de-cramp an area of your home, small additions can work miracles. Putting in a dormer or two is a great and relatively inexpensive way to add living space, light, and air to a dark, cramped upstairs room. Be sure to talk with your contractor about blending the new dormer so that it fits in seamlessly with your home's current design. Another small addition choice with big impact is the bay window. Bay windows can give a room extra light and can add interest to a wall that was once flat. Bay windows also add architectural interest to the exterior of the home. If you have a room that seems just a little too tight, a bump-out might be the right solution. Bump-outs are small, three-sided additions that allow room for a dining nook, office area, or tub. Most bump-outs can be done without major changes to the foundation and roof. If your family is growing or if your home just doesn't have enough space, you should consider a whole room addition. A whole room addition can completely change the character of your home, and will certainly change how you live in it. Whole room additions can be complicated and therefore require the help of an architect or contractor. When designing your whole room addition, use it as an opportunity to give your home interesting architecture and more personality. If your lot is so small that a ground-floor addition would be against your town's regulations, you may want to consider a second-story addition. When designing a second-story addition, it is important to consult with an architect, an HVAC person, a plumber, and an electrician. This construction trades directory and the Home Advisor contractor matching service can help you find local home remodeling professionals and tradespeople. If your home is calling for a large addition, you may consider a two-story addition or a wing addition. 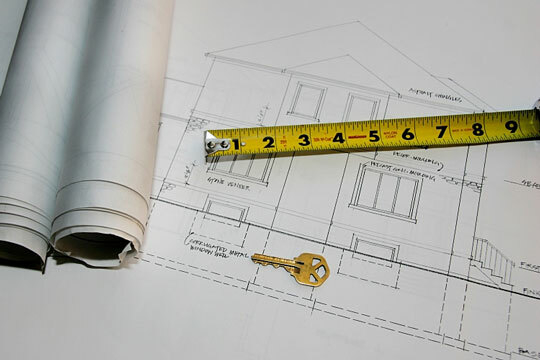 Both types of additions are complicated and require the help of an architect. When designing either a two-story or wing addition, use the opportunity to fix other issues in your home, and reconfigure anything that isn't working for your family.